"A dry 2015 would have disastrous consequences for agencies and sectors up and down the state." That ominous prediction is part of a "drought action report" released this week by the Association of California Water Agencies, whose members manage about 90 percent of Californians' water. The document attempts to identify key vulnerabilities to the state's water system and offers recommendations that its authors say could stave off the worst impacts of a protracted drought. "Hundreds of thousands of acres of annual and permanent crops throughout the state would be idled," the report goes on, "affecting the growers, local communities, related industries and the statewide economy." By example, it specifically mentions the Oakdale Irrigation District, which the report says will likely run through all its water reserves just to get through this year, "so if 2015 is dry, the district would likely need to idle nearly one-third of its acreage, or 20,000 acres." 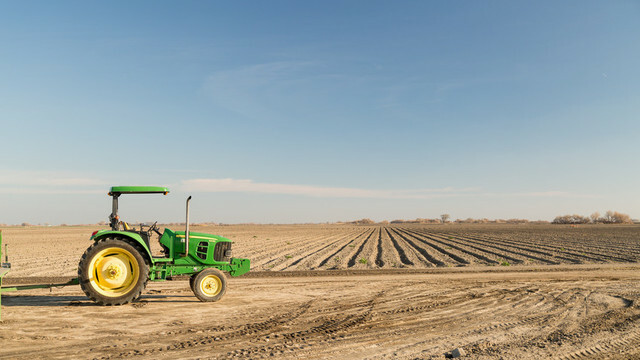 In a worst case scenario for the agricultural industry, cotton production in California’s San Joaquin Valley could cease completely, resulting in severe economic losses from crop revenue, employment, shipping and more. Even agencies with access to groundwater in 2014 would likely have to contend with an increasing number of challenges including reduced water quality, higher energy costs, and subsidence. These kinds of projections loom especially scary since there's no way to know what next year will bring. California has had multi-decade "megadroughts" in the distant past and weathered a six-year drought from 1987-92 -- but that drought did not have the precipitous nature of this one. Three years into the current dry spell, the state has already logged its driest calendar year on record. Another year like this one would almost certainly force some extreme countermeasures that officials hope to avoid. 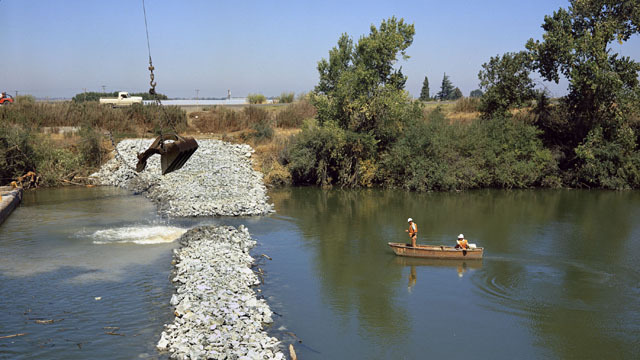 Earlier this year, plans were laid for a $30 million series of rock barriers, designed to keep saltwater from pushing deeper into the Sacramento-San Joaquin Delta -- something that hasn't been necessary since the epic drought of 1976-77. Officials shelved those plans when river flows perked up after some rains in February, but would most likely need to revive the plan after another dry winter. But forecasters say the odds are on our side. "Statistically speaking the odds of a fourth dry year are low and the odds of 'another 2014' are really low," says Jeanine Jones, deputy drought manager with the California Department of Water Resources. What's more likely, says Jones, is a "mixed cycle" comprising several consecutive dry years, interspersed with an occasional wet one, akin to what the Colorado River has seen over the past 11 years. And don't count on El Niño to bail us out. Although the legendary harbinger of rain has been on everyone's lips like a mantra lately, much of the periodic warming in the Pacific Ocean's link to precipitation is more legend than reality. Though current forecasts call for moderate El Niño conditions to be in place by this fall, the correlation between El Niño and California precipitation is relatively shaky. "Unfortunately," says Jones, "the science of seasonal climate forecasting is not very good at this point." It's likely to be December or later before we have a sense of whether the drought will hang around for a fourth year. If it does, water managers don't want to contemplate the potential mayhem. Asked at a Sacramento drought briefing what the farm belt was doing to gird for another drought year, Terry Erlewine, general manager of State Water Contractors said, "There's no way you can plan for that." Steve Ottemoeller, water resources manager at the Friant Water Authority noted that whatever carry-over supply there is this year will be gone after another dry winter. "They're probably as ready as they can be," he said of his ag customers in the San Joaquin Valley. "Most of them are just trying to get through this year." He also predicted that the water wars would intensify in the courts. "A lot of the preparation will be gearing up for the fight."